PARLIAMENT – Leader of opposition, Betty Aol has named her shadow cabinet, a move that puts an end to questions on how she is running her office following her appointment by Forum for Democratic Change (FDC) president Patrick Amuriat in August 2018. 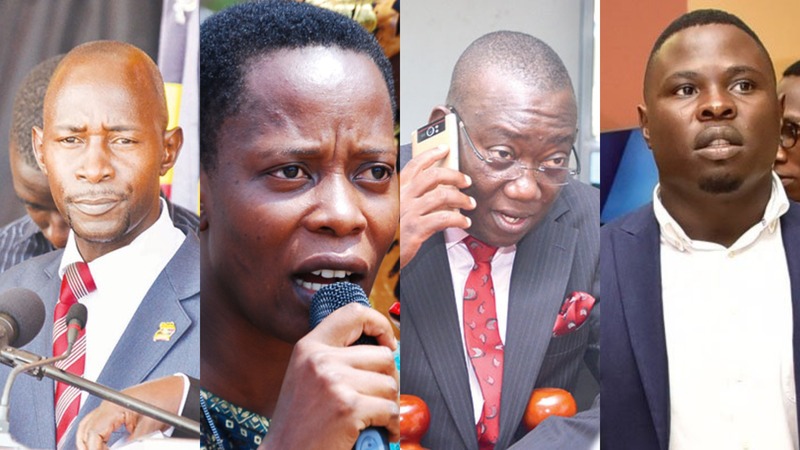 Aol’s appointment followed a shocking reshuffle in opposition leadership in Parliament, a move that saw Speaker, Rebecca Kadaga halt some appointments, on grounds that the flouted Rules and Procedures of Parliament as some of the office holders’ tenure hadn’t elapsed. At the time of Aol’s accession to the opposition leadership throne, there was confusion within the shadow cabinet with some not being certain of their fate, since Winnie Kiiza, who appointed them had ceased being the leader of opposition. In her new team, Aol has maintained many of the people brought on board by Kiiza save for the new faces like; Mohammed Nsereko who was dropped by NRM as chairperson Equal Opportunities Committee and has been compensated as shadow minister security, Kato Lubwama comes on as Minister of Culture and Performing Arts, Moses Kasibante was dropped as Minister for Human Rights as he prepares to take over as Vice chairperson COSASE next year, as well as Gilbert Olanya that has been dropped as shadow minister defense, as well as Robert Centenary. Michael Kabaziguruka who has stayed away from Parliament following an accident last year was dropped as Shadow KCCA and has been replaced by Mukono Municipality MP, Betty Nambooze.